Boynton Beach Historical Society » History » History treasures in your house? History treasures in your house? What treasures are in your house? Do you have photo albums stored on the top shelf of your closet, buried deep in the attic or stowed some other place in your house? What about that file box of old school awards and birthday cards or the shoebox full of postcards? 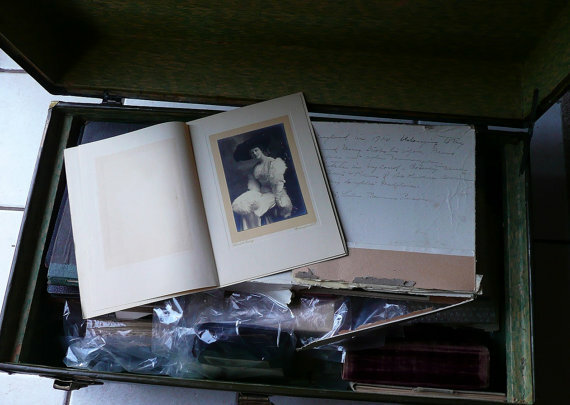 The items are probably mementos from your childhood, and likely illustrate people and places lost to time. Perhaps you inherited these items from a relative and you don’t know much about the people and places in the photographs. House (just north of the Boynton Inlet) built in 1982 and torn down in 2000. Please do not throw them away. Each scrap of paper, image, postcard, receipt and letterhead contains a link to the past. You never know how such information might reveal clues to our history or provide valuable information to researchers and future generations. Looking west from Manalapan to Hypoluxo Island. 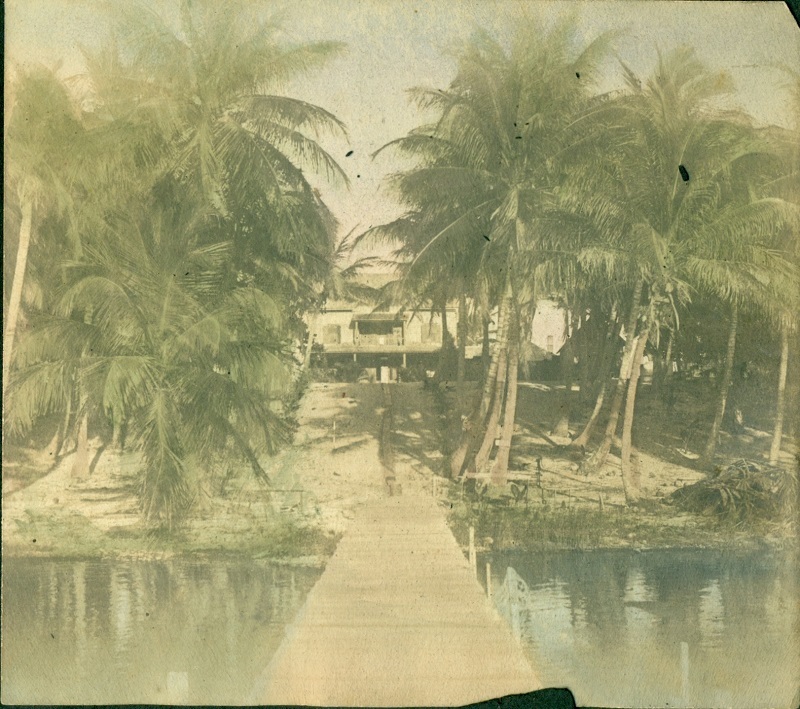 Circa 1912-1917. Case in point: I recently came across a 100-year-old photo album on the Internet. 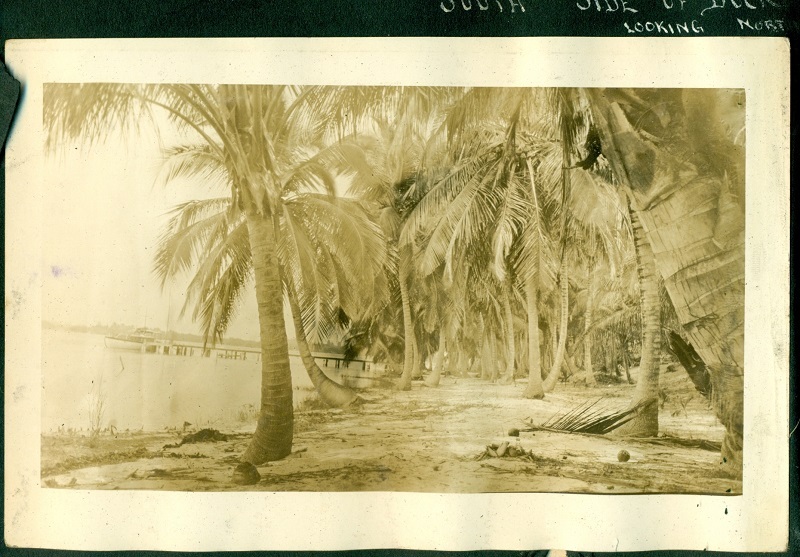 The album contained hundreds of images of coastal Palm Beach County prior to development. 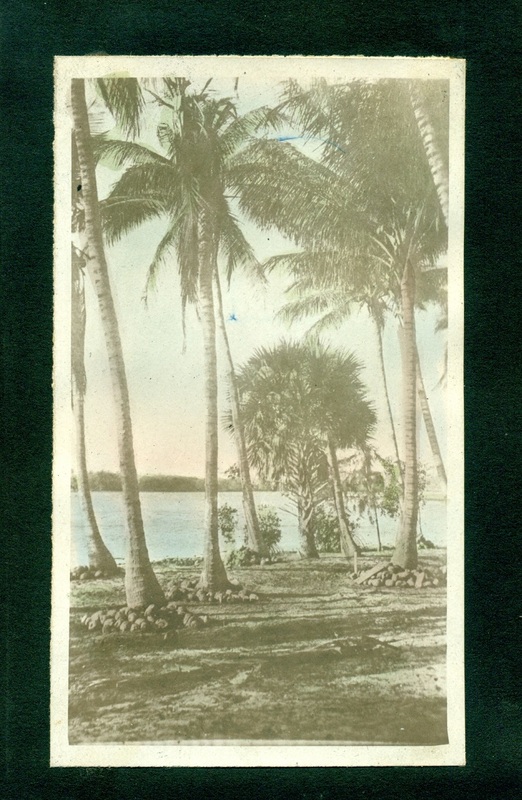 Following clues discovered in the old album, I researched and uncovered the locations of the images and learned about the earliest families to live in the area we call Manalapan; the tropical paradise just north of the Boynton Inlet. 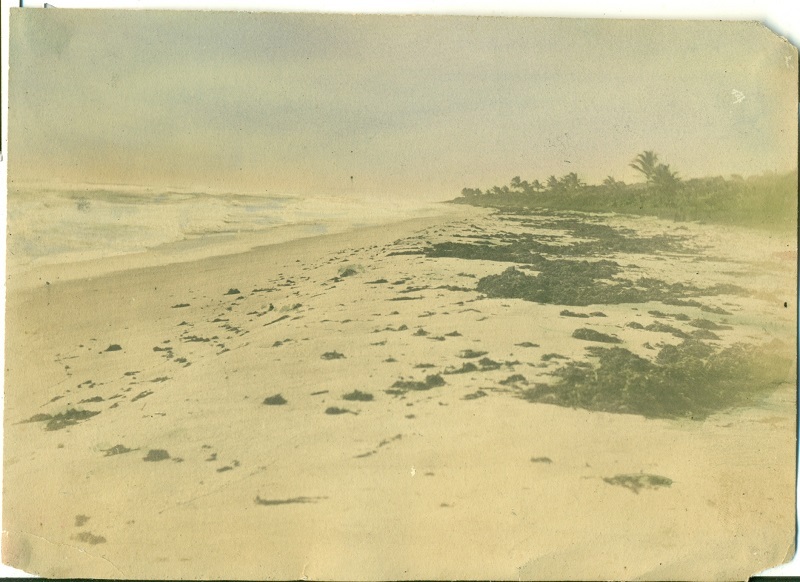 Image of our beach, circa 1912-1917, discovered in a discarded photo album full of coastal Palm Beach County photographs. To learn more about my “paradise found” in the August issue of The Coastal Star newspaper- click here to read it. Next time you think about those dusty old photo albums stashed somewhere in your house, consider adding to the historical record by chronicling your family history. If you can’t remember who the people are, or where the images were taken, the historical researchers at the Boynton Beach Historical Society (and our members) might be able to figure it out. We refer you to the appropriate local or national repository. Remember, please don’t throw our history away!